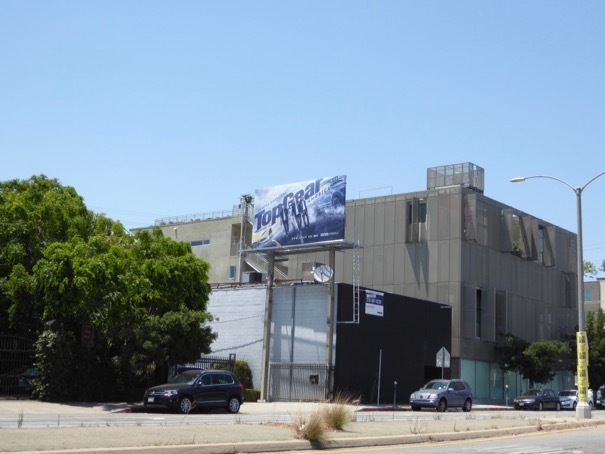 Back in 2010 BBC's wildly popular British driving show Top Gear got an American makeover courtesy of The History Channel, hosted by Tanner Foust, Adam Ferrara and Rutledge Wood which ran for two seasons. Now as the series will soon return for a twenty-fifth season in the U.K., it's second time lucky for a U.S. version with Top Gear America soon to debut on BBC America. This time around actor William Fitchner, drag racer Antron Brown, motoring journalist and presenter Tom "Wookie" Ford and test driver 'The Stig' will bring the auto action stateside and explore the latest state-of-the-art vehicles and America's historical car culture. 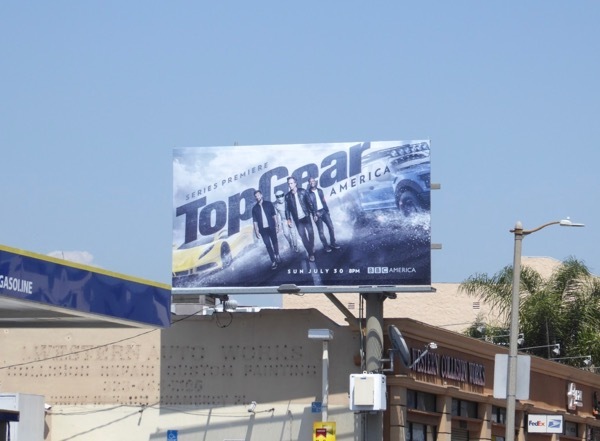 This Top Gear America series launch billboard was first snapped along Fairfax Avenue on July 7, then later above Pico Boulevard and Santa Monica Boulevard through July 21, 2017. 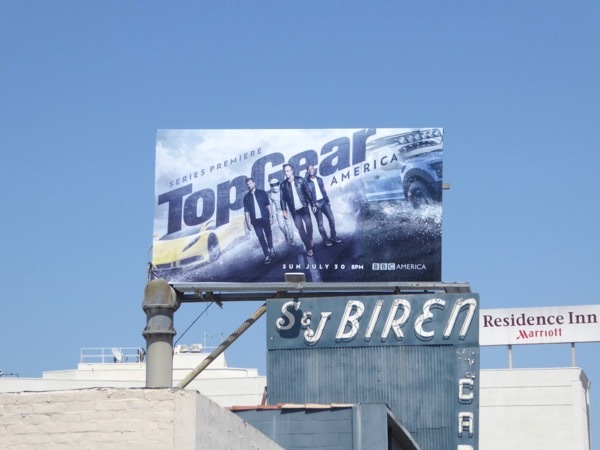 It's funny, this ad creative bears an uncanny resemblance to History's Top Gear season two billboard from July 2011. 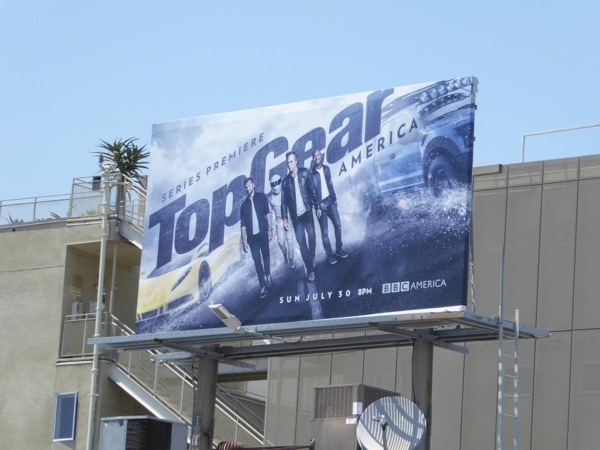 Meanwhile motoring show enthusiasts can also check out these billboards for U.K. Top Gear and The Grand Tour (Amazon's series with Top Gear's ex-longtime hosts Jeremy Clarkson, Richard Hammond and James May). 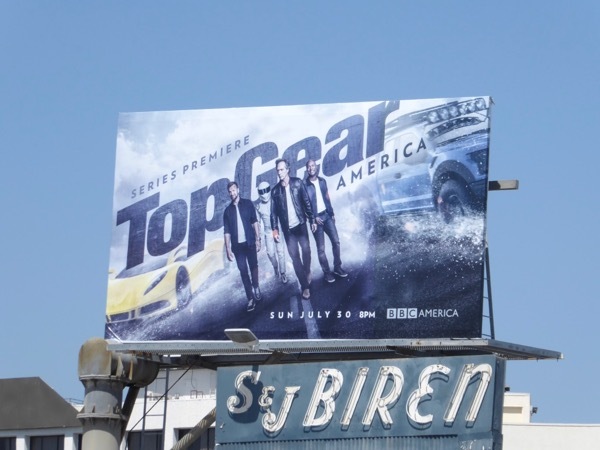 Let's see if this new Americanised adaptation of Top Gear can race into pole position this summer.